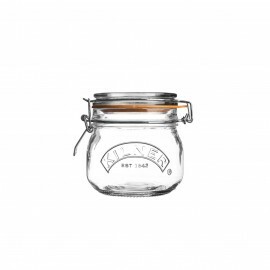 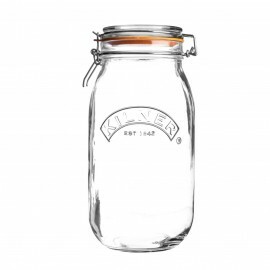 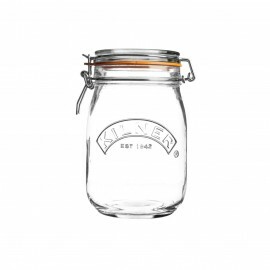 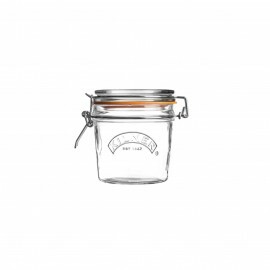 The ever-popular Kilner® clip top storage jars have the 'Kilner®' brand embossed on the front of the jar and are finished with an orange rubber seal. 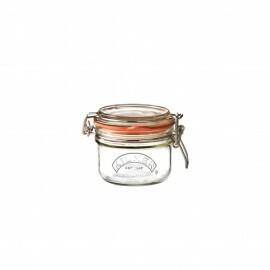 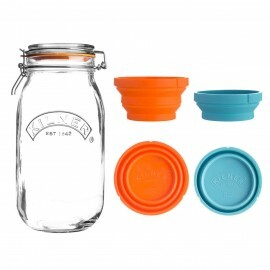 These jars are perfect for storing a whole range of dry food stuff's such as rice, flour, tea and coffee etc. 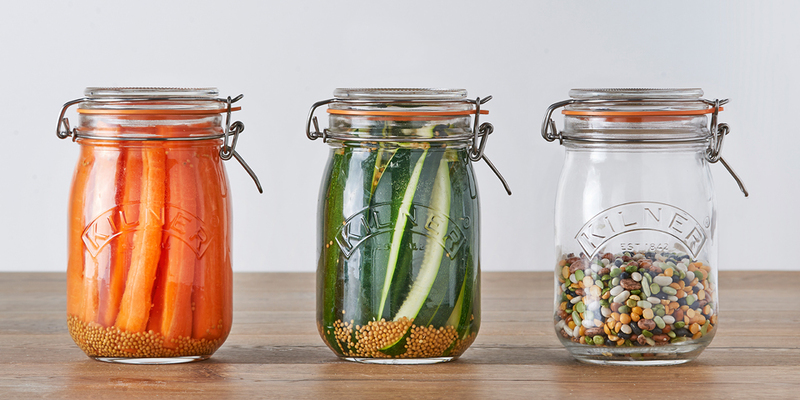 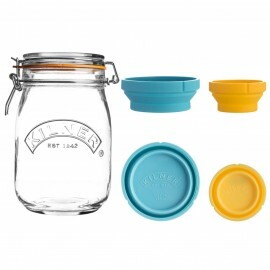 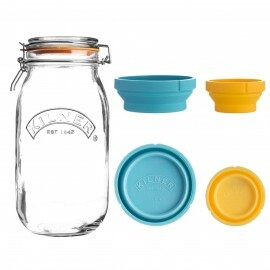 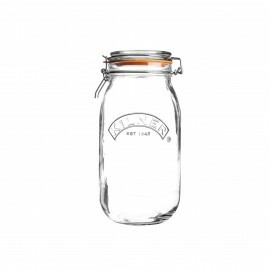 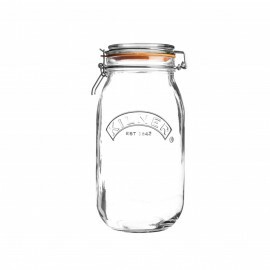 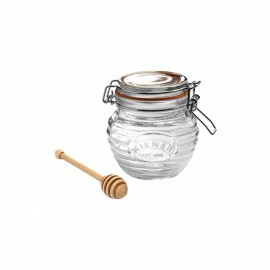 The jars are also the perfect companion for preserving and pickling fruits and vegetables, jams and jellies.